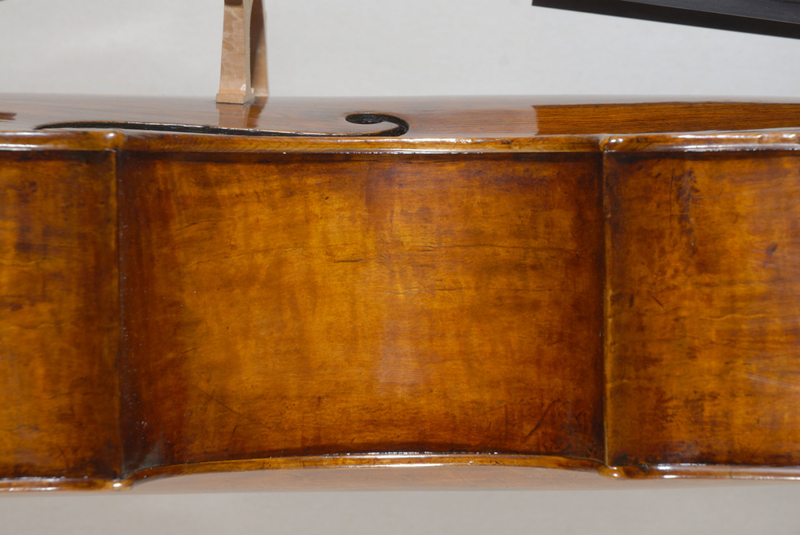 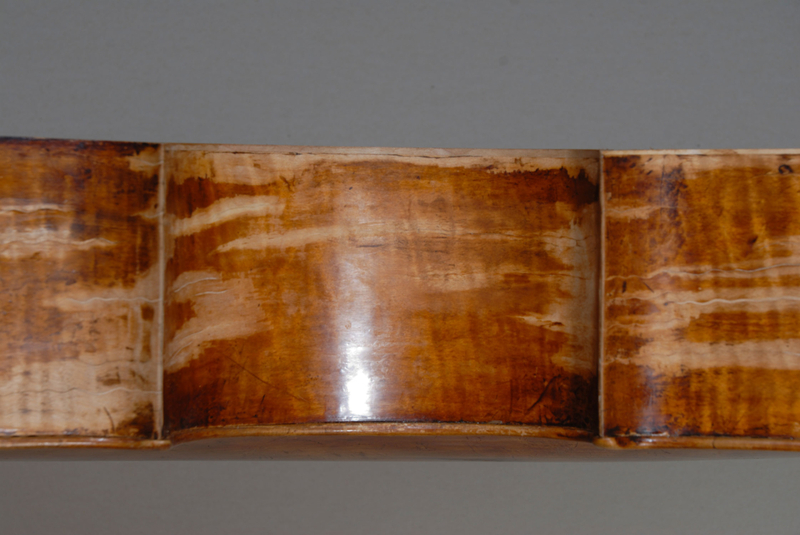 The main goal of this restoration was the functional recovery of the back and heavily damaged ribs. 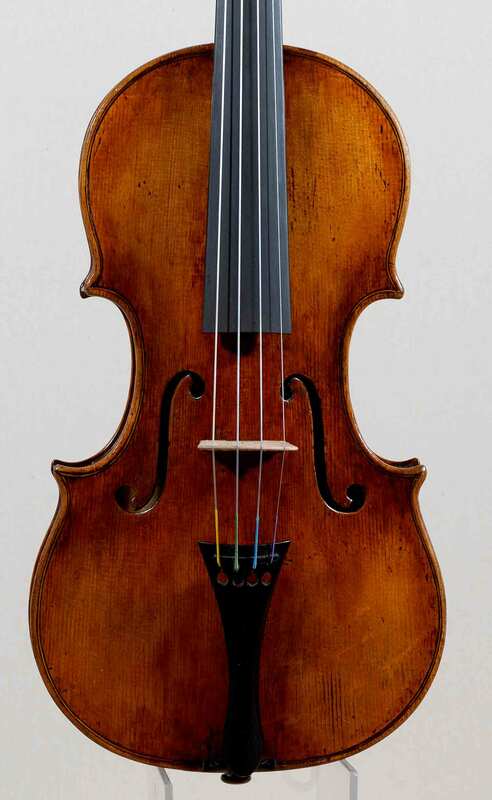 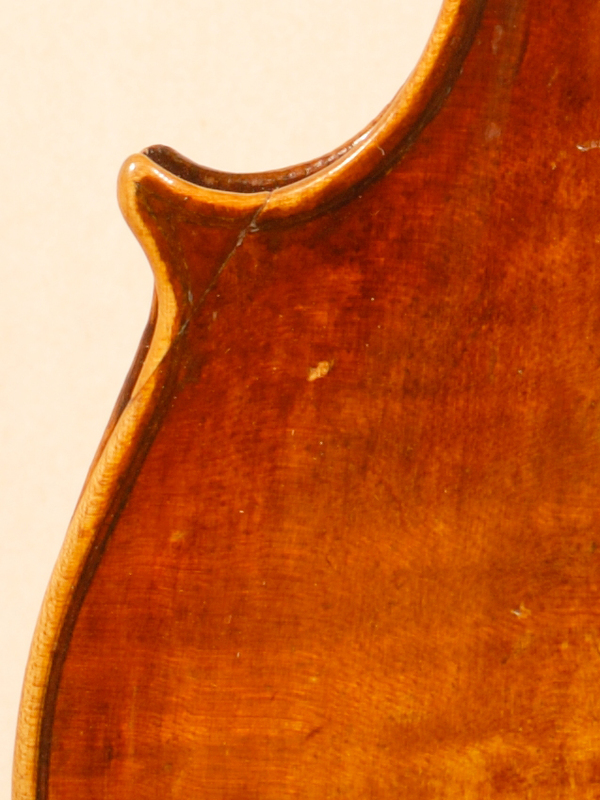 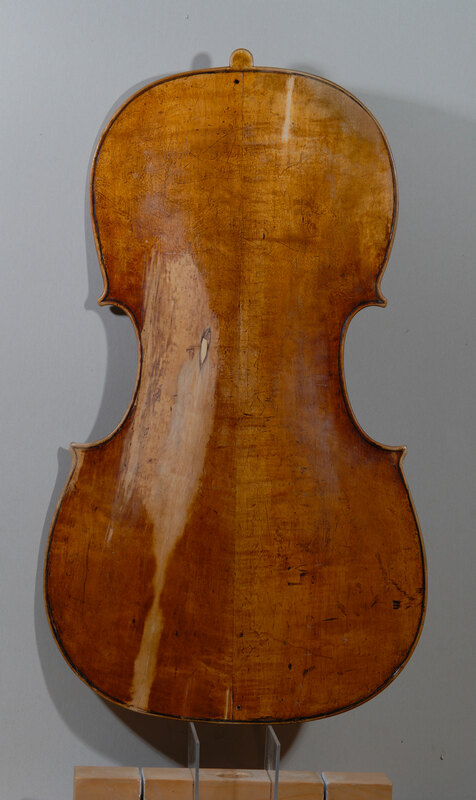 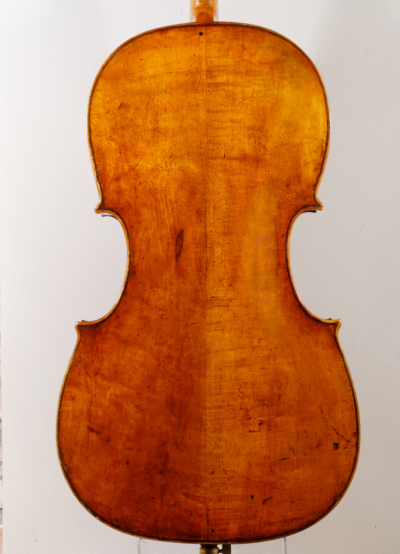 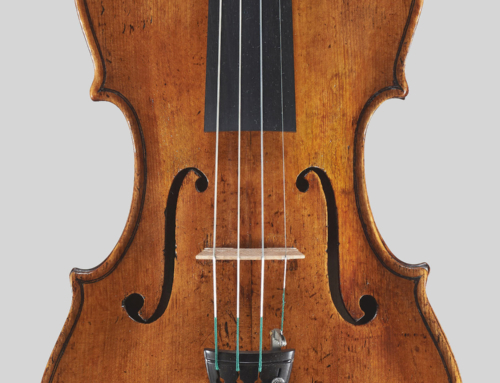 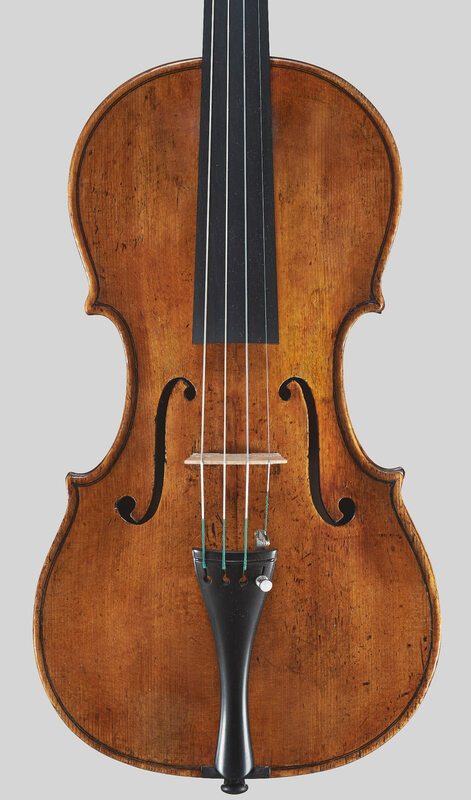 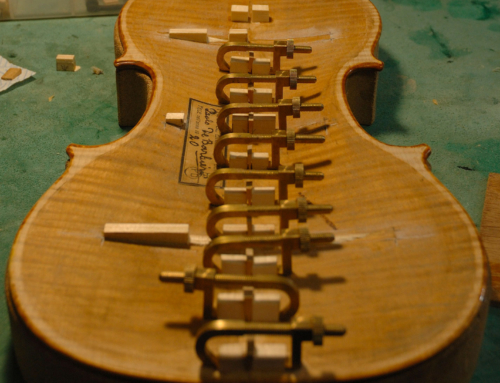 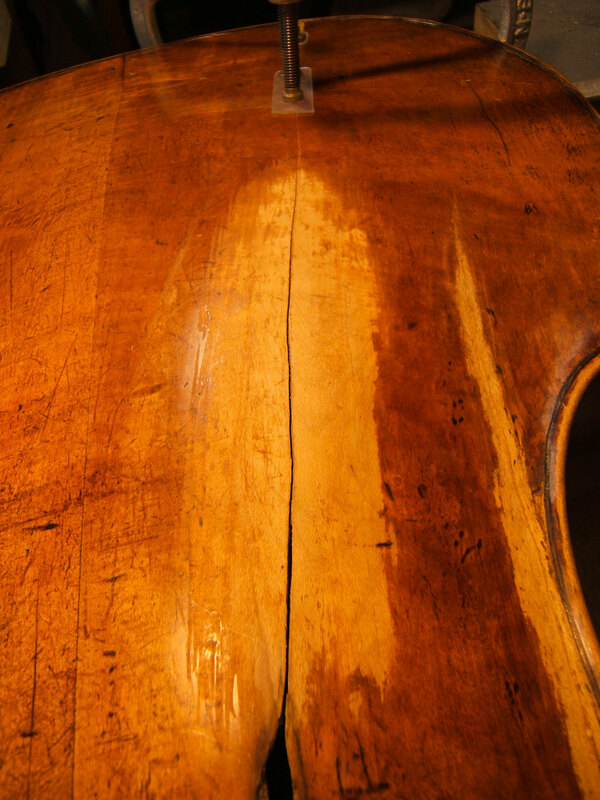 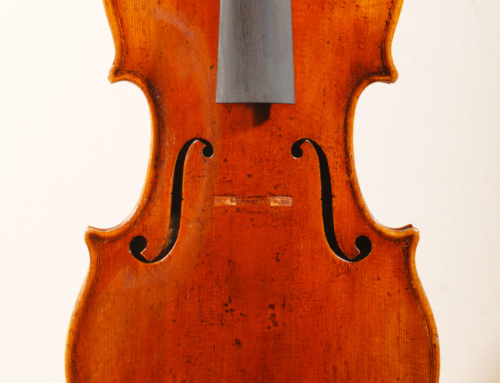 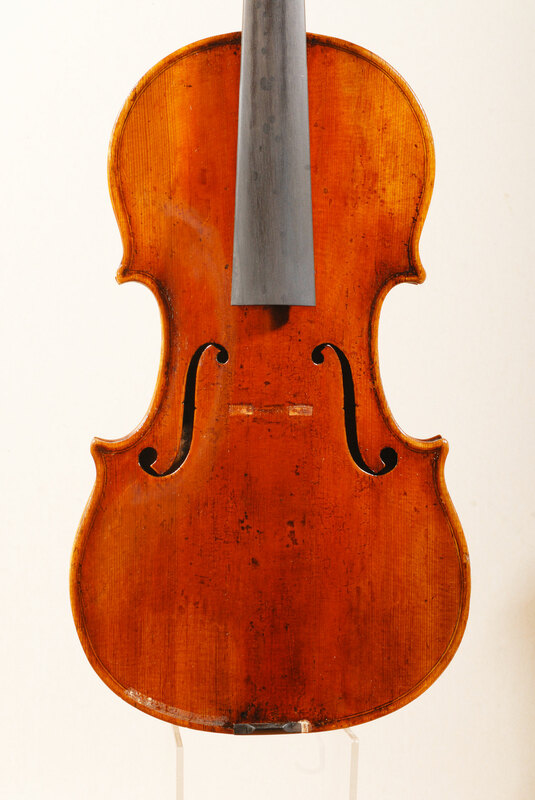 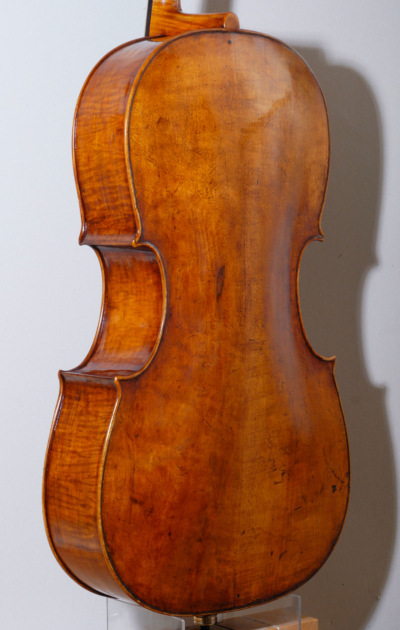 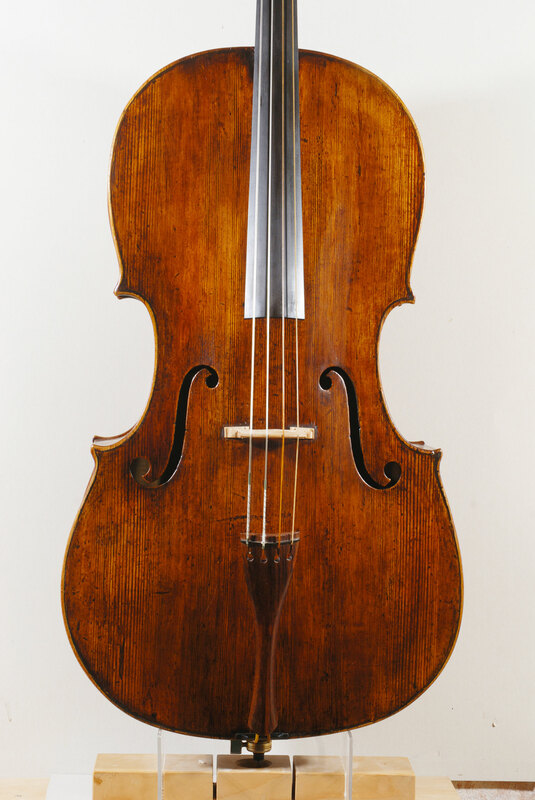 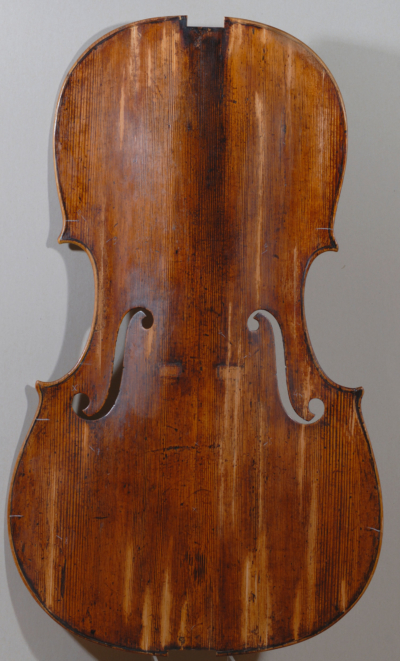 The back presented a sound post crack and an evident arching deformation. 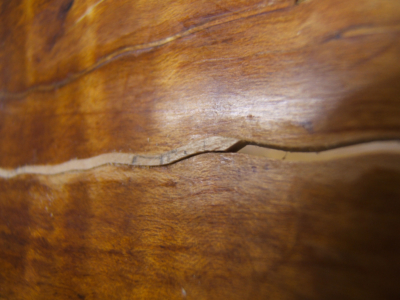 They was recovered very well reinforcing with a central patch. 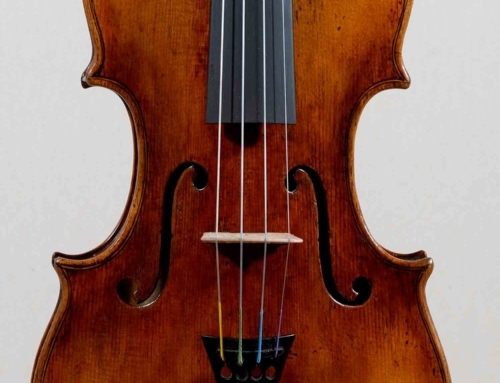 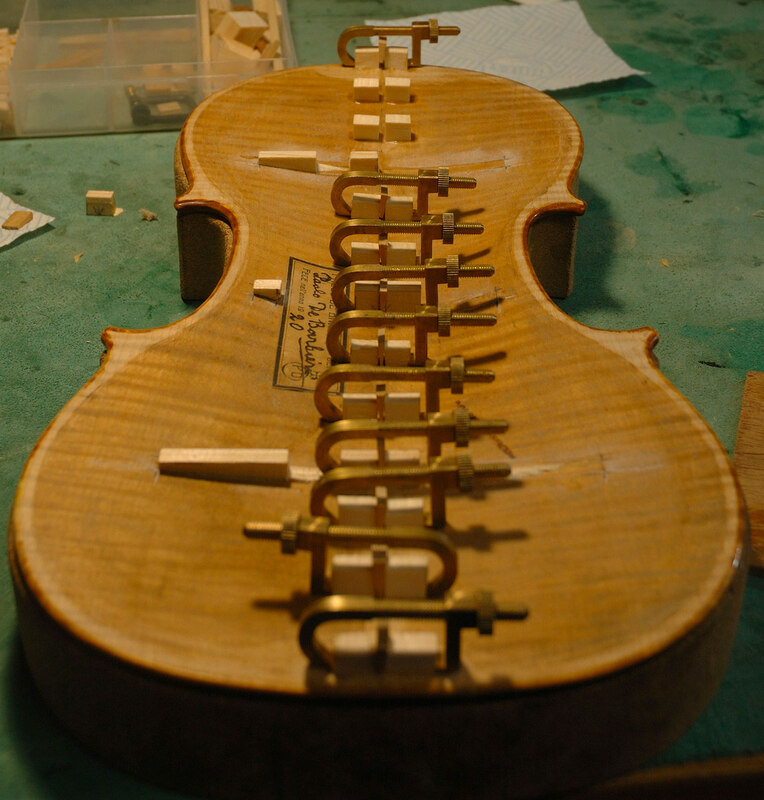 The 70 cracks on the ribs were repaired by inserting, in some cases, shavings of different sizes for a functional rather than aesthetic recovery. 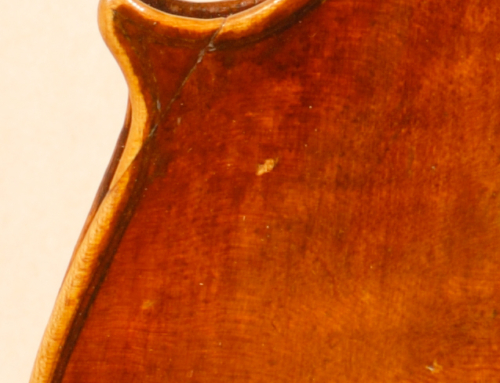 Even the top has been abundantly reinforced with some patches to support the cracks and above all give thickness to the spruce thinned by previous restorations.